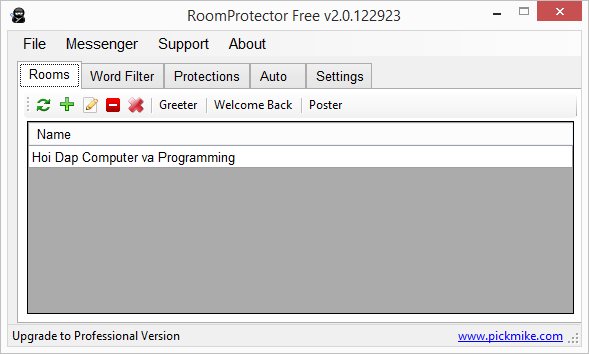 RoomProtector is a quick add-ons for room owner. 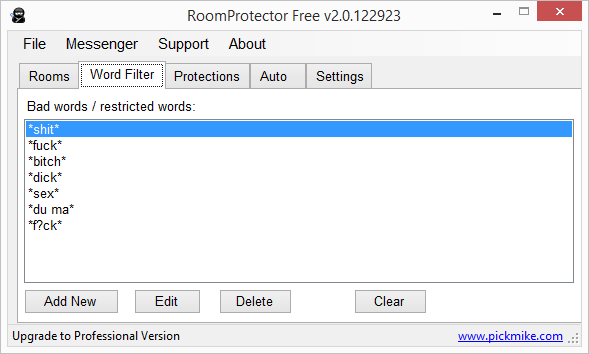 It helps to detect swear or restricted words that entered by the user in the room. 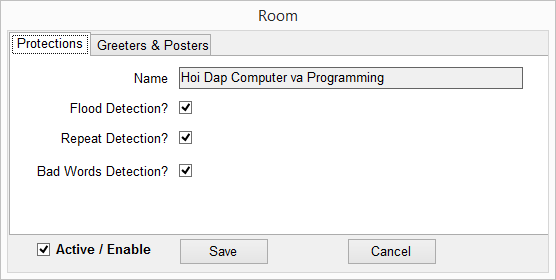 It protects your room from being flood by spammer. Repeated text also implemented to help annoying repeated text by the member. 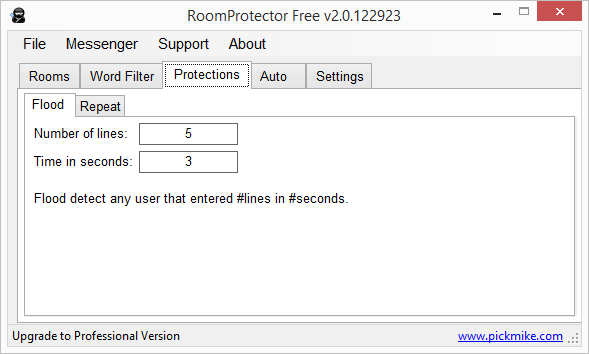 The cool feature about this room Protector is that it helps you to protect multiple rooms. 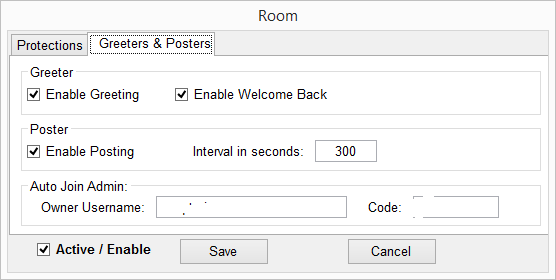 Each room has it on off feature.